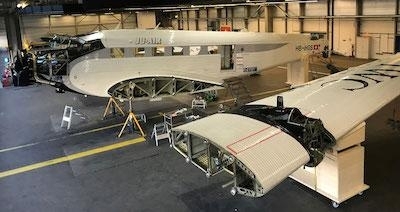 JU-Air in Switzerland and has begun a project to completely restore its three historic Junkers JU-52. The company's 70 and 80-year-old aircraft are currently completely dismantled and being overhauled. For this most comprehensive revision work in JU-Air's 36-year history, operations will have to be reduced this summer and next. For the summer of 2019, JU-Air plans to use only one aircraft, HB-HOS, which has undergone comprehensive corrosion tests in addition to the annual maintenance since November. 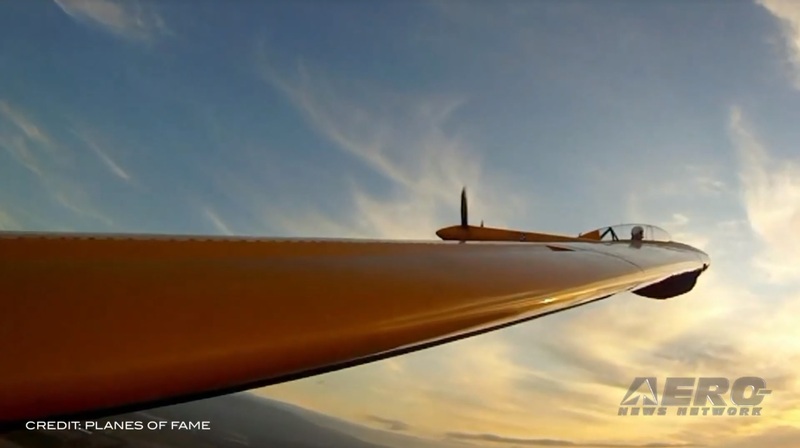 New, high-resolution borescope cameras were used to illuminate and examine the wing spars and even the smallest cavities in the wings, tail units and fuselage. An institute specializing in materials testing additionally examined all connection points within the wings. This x-ray based process is new to the JU-52 and first had to be thoroughly tested and calibrated. The investigations therefore took longer than originally planned. The analysis of the investigations are nearing completion. The optical and boroscopic examinations, X-rays and the expertise of materials scientists and experts in structures and engines have so far revealed no evidence of safety-related deficiencies in the aircraft HB-HOS. If no such deficiencies arise, JU-Air will submit an application to the Federal Office of Civil Aviation for flight operations in 2019. Due to the delays in the investigations, however, the start of HB-HOS operations can not take place before the end of May. The ten-years younger HB-HOY, a Casa-license airplane built in 1949, will be exhibited until further notice in Mönchengladbach and will not be flown for the time being. 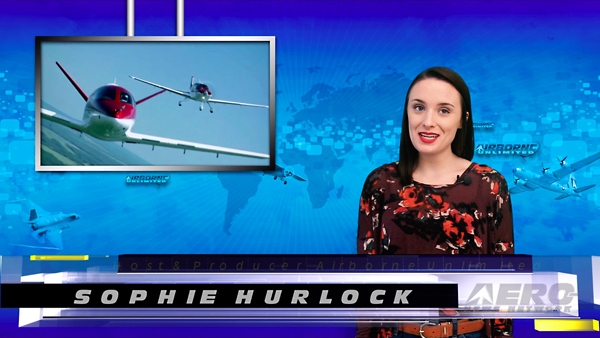 Contractual agreements do not allow a deduction of the JU-Air's youngest airplane at the moment. As soon as the HB-HOY can be brought to Switzerland, it will also be overhauled. JU-Air says the overhaul of the three machines is not directly related to the accident involving HB-HOT last August; it is a voluntary investment in the safety and value of the aircraft. However, the tragedy and the resulting uncertainty about the causes and alleged defects in the accident aircraft caused the JU-Air to comprehensively overtake the three aircraft. The Swiss Federal Office for Civil Air Safety has sent a letter to JU-Air announcing that it intends to place the operation of the JU-52 on a new, legal basis. As the manufacturers of aircraft and engines cease to exist, the FOCA requires, among other things, the creation of an organization consisting of several specialized agencies, which can regulate and monitor the future maintenance of the aircraft. 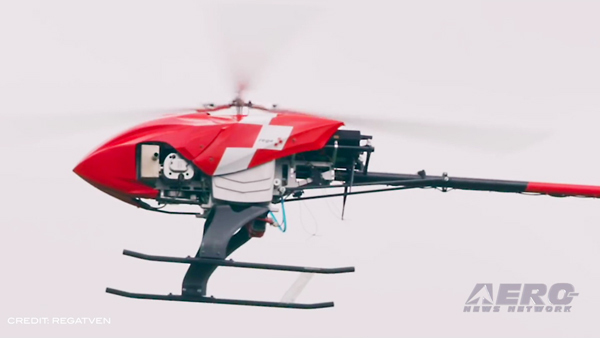 For JU-Air, the safety of future operations is a top priority. It is solidly funded, ready and able to set up the required organization to ensure future operations and to engage the necessary external experts and organizations.